"They got away from us." The following is a list of those classmates who are no longer with us. The information comes from the Abington High School Alumni Association official class database as well as reports from classmates. If you have information, corrections or inquiries - Email Ed. Thanks to all of you who have sent me updates about our classmates. 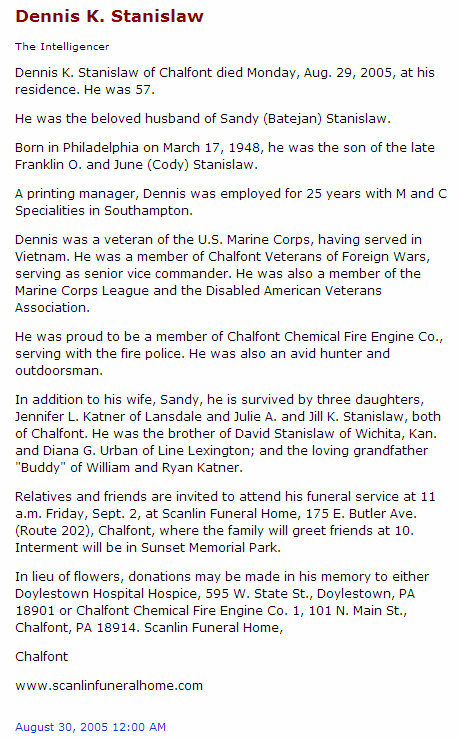 3 - Stephen C. Benner Deceased 12/27/2005, of a heart attack at his residence in Doylestown. Steve was born January 13, 1951. 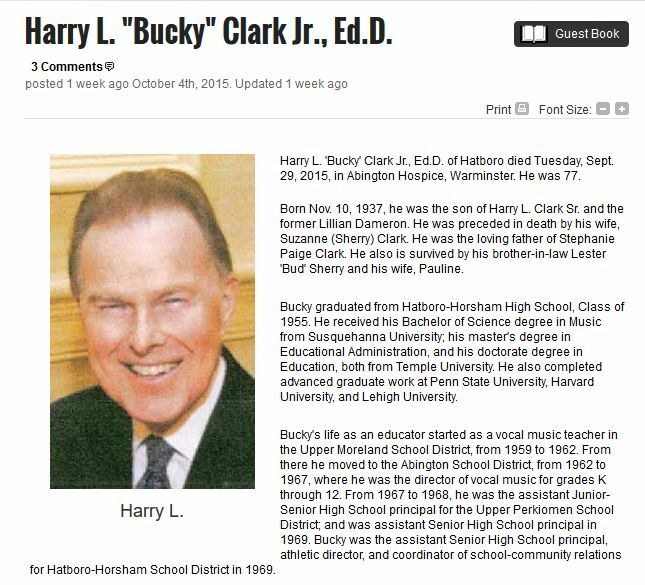 Harry L. "Bucky" Clark, Jr.
28 - Susan Green Clair Deceased April 29, 2002. 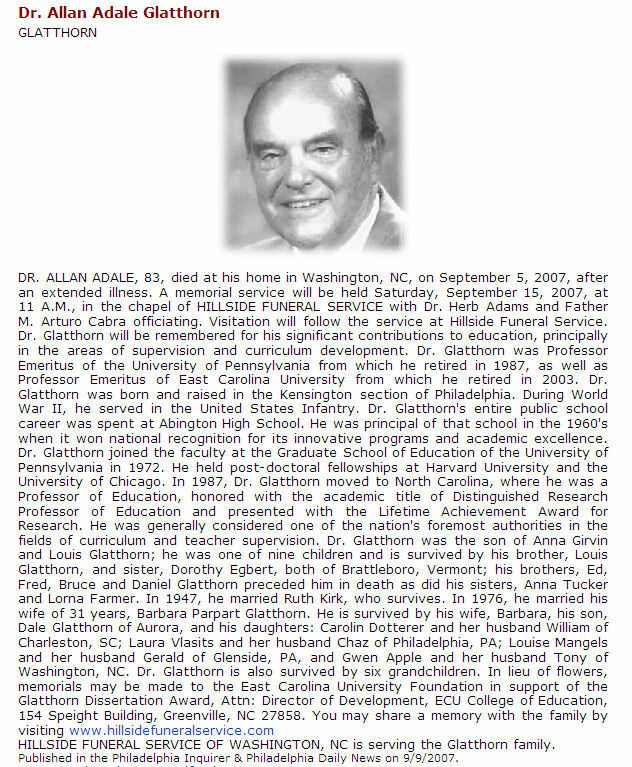 See obit below. 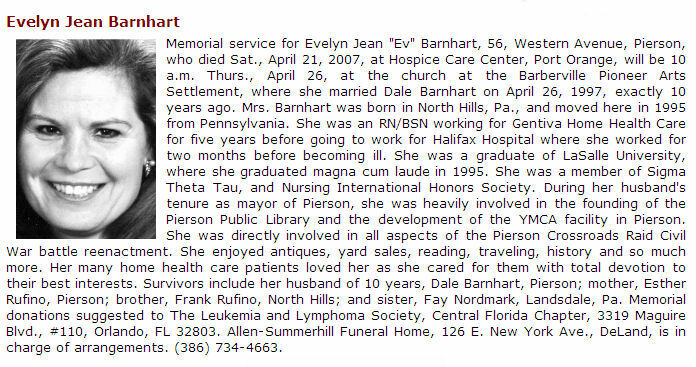 Obituary received here December 2002 from Jill Stange (see obit below). 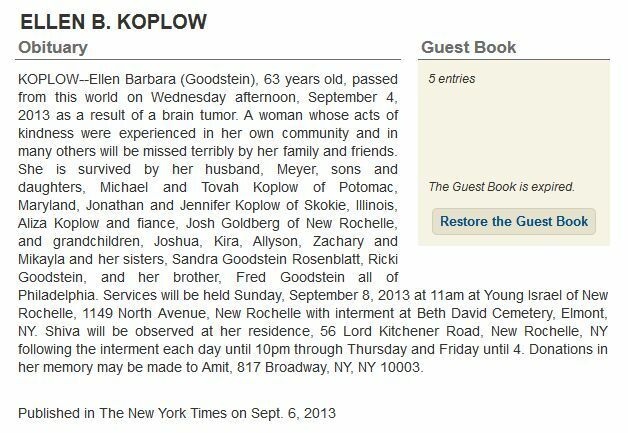 Obituary received here September 2012 from Stephen Tetor (see obit below). Obituary received from Jill Stange. 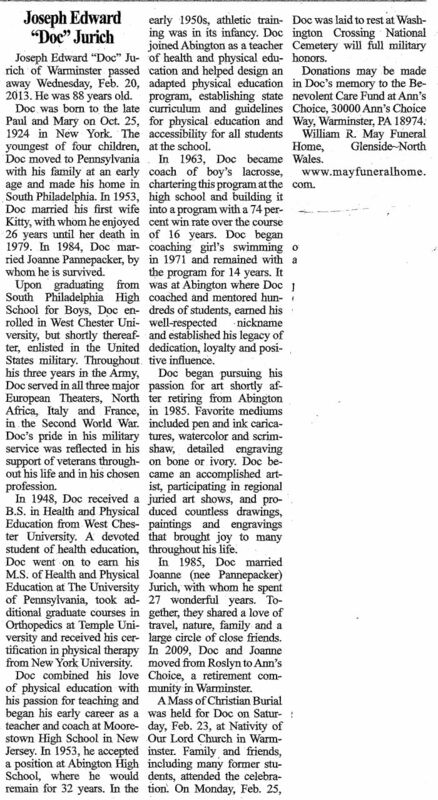 Published in Philadelphia area papers (see obit below). 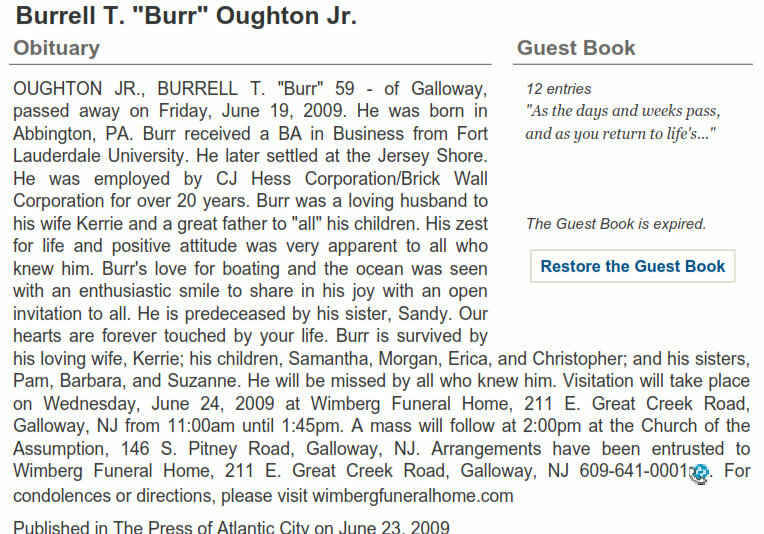 Timothy Bumgarner of Horsham died Tuesday, June 18, 2002, at his home. He was 52. 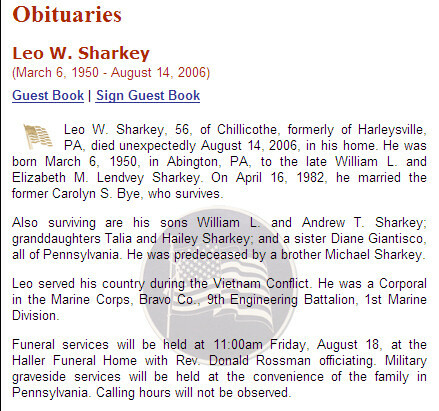 Born Oct. 8, 1949 in Lock Haven, he was the son of the late Richard L. and Josephine (Young) Bumgarner. 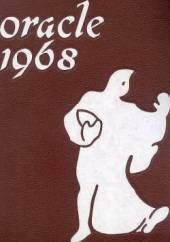 Mr. Bumgarner was a graduate of Abington High School, Class of 1968. He was an automobile painter. He loved classic cars and music. Survivors include his sister, Vicki L. (Richard) Greim of Chalfont; his nephew, Richard Greim III; his niece, Pamela Greim; his uncle, Harold Young of Howard, Pa.; and his aunt, Betty Waite of Beech Creek, Pa.
Visitation with the family will be held from 4 to 5 p.m. today at John R. Freed Funeral Home, 124 N. Easton Road, Glenside. 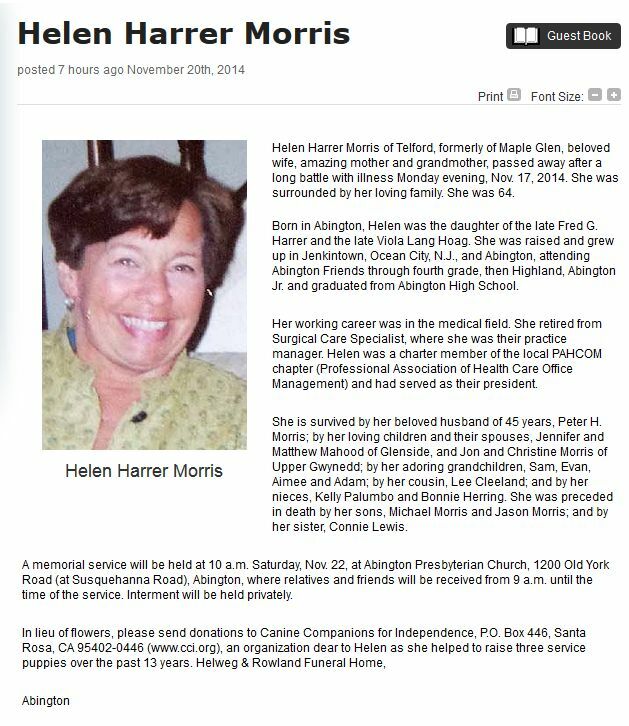 This is a link to the original obituary in The Intelligencer. I will add, as a personal note, Bucky was a saving grace in my life. He inspired me to be more, to strive for more, to use music as a force in my life. Everytime I played in a bar or club, everytime I picked up a guitar and sang, Bucky Clark was my mentor, in my life, in my music, in my head. That smile, that energy, it enabled me. It said: "Yes, you can!" Bucky, thank you from the bottom of my heart. You really did give me "me." As I write this, in October 2015, much is going on, some hard times.But, still, his wisdom, his lead, his smile, carries me onward. What a truly great man. In my life I had two awesome men. My father and Bucky. And my father greatly admired Bucky and Bucky admired my father. After 40+ years Bucky rememberd the letter my father wrote him when I was in 9th or 10th grade, praising Bucky for the work he did with his kids. Bucky remarked on it when I last saw him in 2013 at my 45th class reuinion. I will miss this man forever, just like I miss my father. One for the ages. Well, or in my case, two for the ages. Robert James Ertell, Jr., 64, of West Chester, died Friday, August 8, 2014 at his home. He was the husband of Susan Cosgrove Ertell. 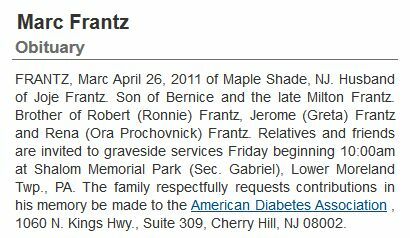 Born in Philadelphia, he was the son of the late Robert J. Ertell, Sr. and the late Margaret Maier Ertell. 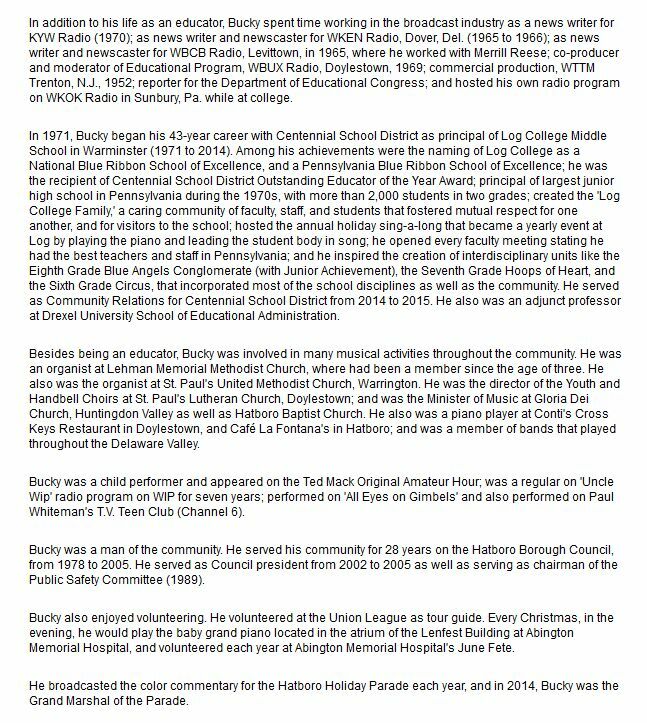 Bob was a graduate of Abington High School and attended Penn State University. He worked as a Production Manager for the Hartford. Bob enjoyed sailing, coaching soccer and keeping up with the Philadelphia sports teams. 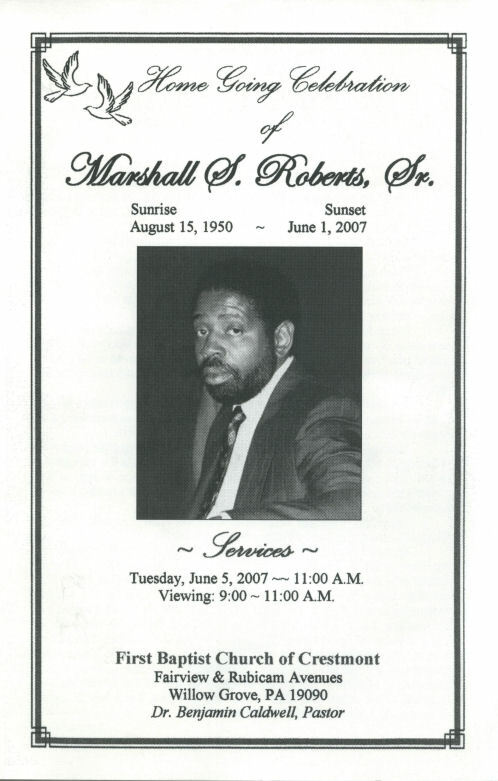 He was involved in his neighborhood community and was known to do some carpentry and woodworking. 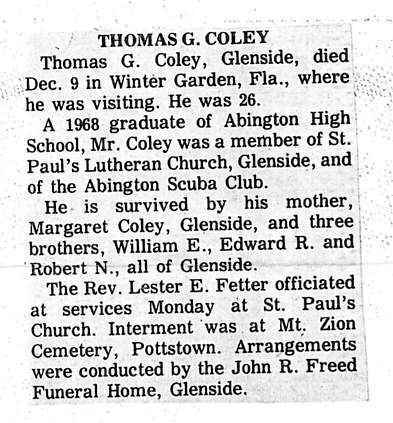 In addition to his wife, he is survived by his son, Zachary R. Ertell of West Chester, and daughter, Elizabeth M. Ertell of State College, and six nieces and five nephews. He was preceded in death by his sister, Jean Ann Crimmins. 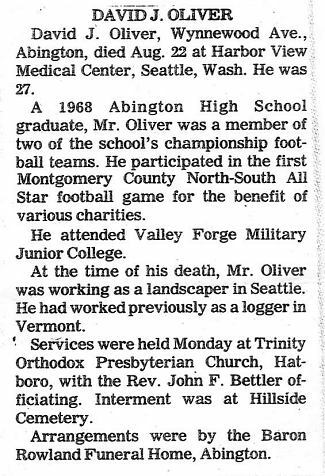 Relatives and Friends are invited to his Funeral Service, 12 Noon, Thursday, August 14, 2014 at the DellaVecchia, Reilly, Smith & Boyd Funeral Home, Inc. 410 North Church Street, West Chester, PA 19380 where visitation will begin at 10 a.m. Interment will be private. 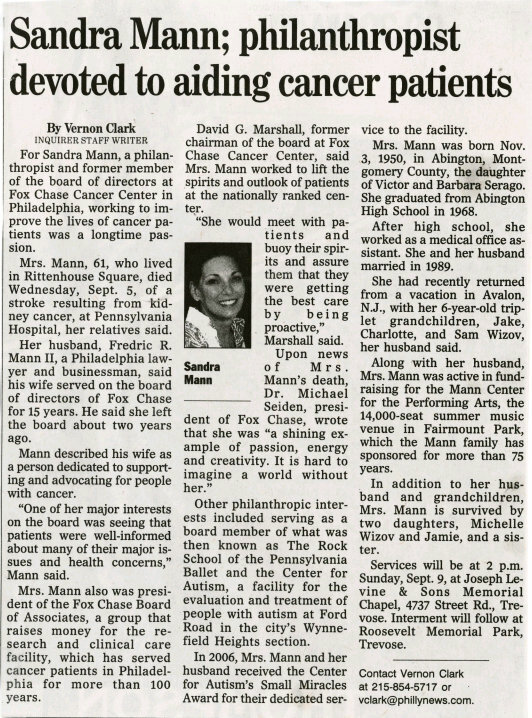 In lieu of flowers, contributions may be made to the Abramson Cancer Center c/o Penn Medicine Attn. Development, 3535 Market Street, Suite 750, Philadelphia, PA 19104. 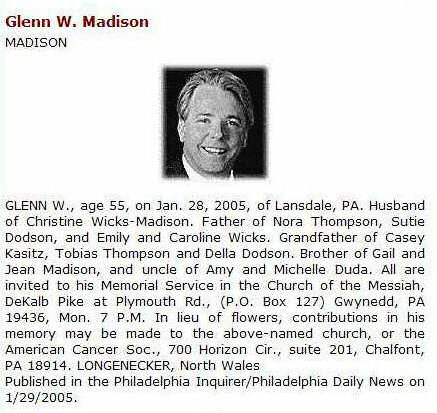 Scott S. Hawkins, 59, of Palmer Township, formerly of Glenside, Pa. died Tuesday in VNA Hospice of St. Lukes. He was a son of the late William and Elizabeth (Stagg) Hawkins. 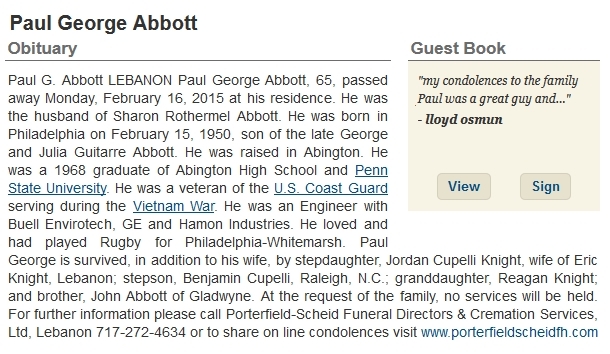 Scott was a construction inspector for Arora and Associates, Lawrenceville, N.J. 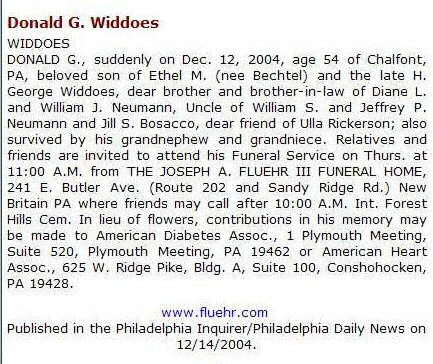 Prior to that he was an engineer for Verizon in Philadelphia for 36 years retiring in 2006. Survivors: Wife, Carrie A. (Lincoln) Hawkins; sons, Glenn, Michael and Jonathan Hawkins and Jonathan Edly; daughters, Lindsay Dawson and Jessica Borrelli; sisters, Wendy Hawkins, Susan Fink and Holly Hawkins; five grandchildren; and many nieces and nephews. A brother, Bill Hawkins died earlier. 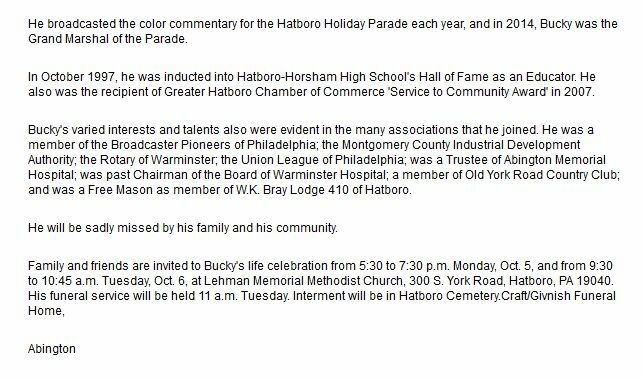 Services: 6 p.m. Saturday in the Ashton Funeral Home, Easton. Call from 3 p.m. until service time. Contributions: Hospice of the VNA of St. Lukes, 1510 Valley Center Parkway, Suite 200, Bethlehem, PA 18017. Posted: Sunday, January 9, 2011 4:00 am | Updated: 9:42 am, Sun Jan 9, 2011. 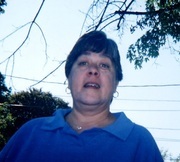 Barbara Lynne (Major) Jadczak of Horsham passed away Wednesday, Jan. 5, 2011. She was 60. She is survived by her husband of more than 40 years, Raymond Jadczak; her children, Jeremy Jadczak (Michelle), Allison O'Brien (Dennis), Samuel Jadczak (Melissa Rudnecki), and Rebecca Jadczak; her brother, Scott Major; her sister, Janet Mundell; her granddaughters, Kylie and Oliva O'Brien; and her grandson, Julian Jadczak. She was preceded in death by her sister, Claudette Johnson; and a daughter, Jessica Jadczak. 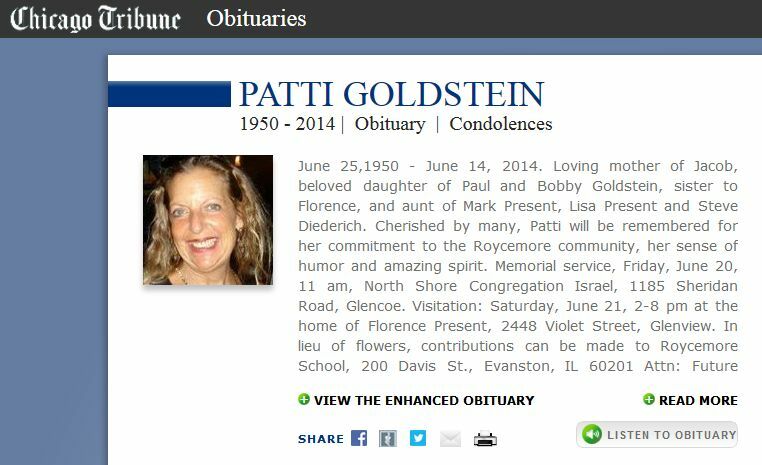 She was a longtime employee of PJ Auto Repair of Horsham. Barbara was active in Women Aglow, Red Hatters, and North Penn Clown Alley. 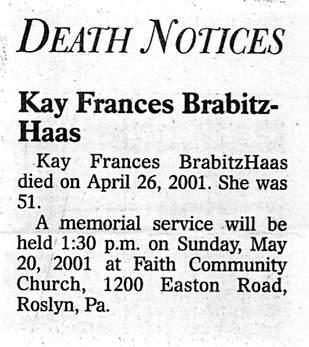 Relatives and friends are invited to her viewing from 10 to 11 a.m. Saturday Jan. 8, at the John J. Bryers Funeral Home, 406 N Easton Road, Willow Grove, where the funeral service will follow at 11 a.m. Interment will be private. 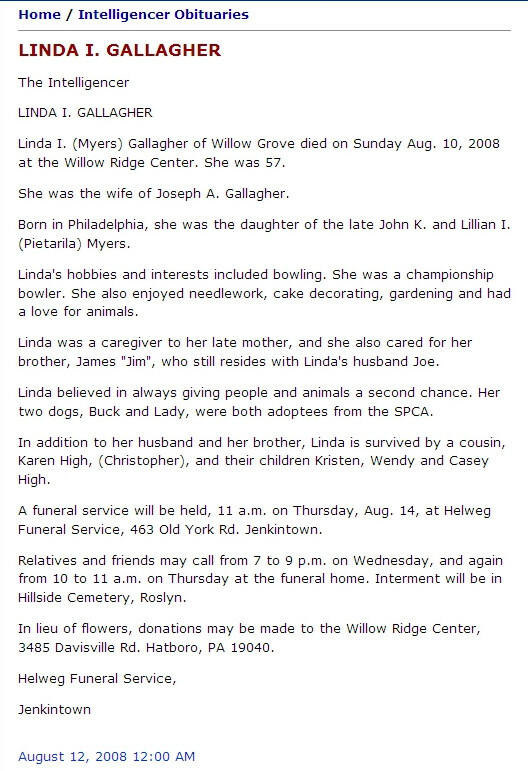 In lieu of flowers, donations may be made to River of Life Church, 3434 Durham Road, Doylestown, PA 18902. John J. Bryers Funeral Home. 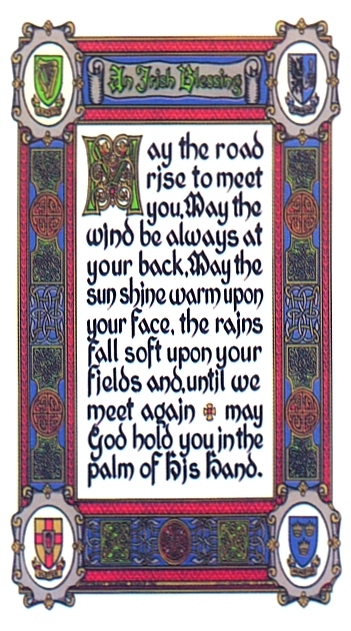 Kenneth Michael McTeigue, Kenny, to his friends of Hatfield, passed away Sunday, March 13, 2011. Kenny graduated from Abington Senior High in 1968. He grew up in Roslyn. He is survived by his mother, Helen and by his siblings, Patrick, Kathleen, Martin and Daniel. Burial services will be held Tuesday March 22 at 2PM at Washington's Crossing Military Cemetery in Washington's Crossing. Friends are invited. In lieu of flowers, please make a contribution to the American Tinnitus Association.